Among the myriad of different O-Ring dimension standards available, the AS568 is the United States’ most popular. It was previously designated as ARP 568 and is now maintained by the Society of Automotive Engineers. AS568 lists 369 different sizes of O-Rings with corresponding tolerances and dimensions. This standard features O-Rings in five different cross-sections, with inside diameters that range from 1/32” to 26”. Tube fitting boss seals are also included in AS568 as “-900” series O-Ring sizes, intended for use in MS33649 (superseded now by SAE-AS5202) straight thread tube fittings. In addition, J Royal offers a wide variety of metric and non-standard O-Rings. As a subset of the available metric sizes, J Royal stocks several Japanese Industrial Standard (JIS B2401) sizes. 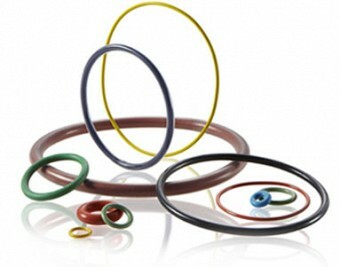 If you require a special size or specific chemical resistance, J Royal can create custom O-Rings, specially made to your specific requirements. CROSS SECTION .070" ± .003"
CROSS SECTION .103" ± .003"
CROSS SECTION .139" ± .004"
CROSS SECTION .210" ± .005"
CROSS SECTION .275" ± .006"